It has been proven time and time again that steam cleaning is one of the healthiest AND most efficient methods of cleaning. Steam cleaning sanitizes surfaces, getting rid of bacteria, dust, dander, soil, and many other damaging pathogens. If you have ever felt ill in your home without being sick, it may be due to these pathogens. We employ the modern state of the art method of steam cleaning. Why? Well, we have dust mites all around us. In our clothes, bed linen, carpets, and they even on our skin! Dust mites are not visible so it is very difficult to simply point them out but, if you suffer from allergies, you will know they are there. Our steam cleaning service is one of the most successful and mess free ways of thoroughly cleaning your home of dust mites, bacteria, germs, and any other build up of unwelcome visitors without disturbing your life. Our steam cleaning service is a tested and approved method known to kill dust mites, mold, and germs. It uses dry steam heated up to 240 F, effectively killing off any particles that may have settled. Since it is dry steam, there is minimal wetting and the cleaned area is dry within minutes, preventing any new bacteria or particles from returning. The steam cleaning method is also known to emulsify any grease or oil stains that won't go away, making it easier to vacuum up what is left behind. 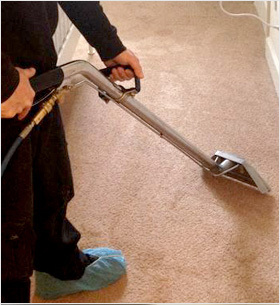 Steam cleaning provides for the ultimate carpet cleaning experience. If you or any of your family or co workers suffer from allergies, they might be caused by spores and bacteria that travel around in the air and come to rest on carpet and floors. 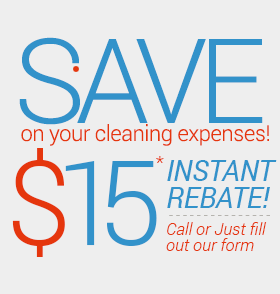 Steam cleaning sanitizes an area and makes it a healthier environment to live and breathe in. Steam cleaning is not just about floors and carpets, it can be used to clean upholstery and curtains, kitchens, and bathrooms. If you have mold in a damp area, steam cleaning will release the mold and kill off the air borne spores, making the whole area healthier for the well-being of your family. UCM Cleaning Services is proud to offer our steam cleaning service for Philadelphia homes and offices.